First United Methodist Church was founded in 1849 and came from out of a group of Protestants who had begun to worship in 1845 under the leadership of Reverend O.P. Clinton a Congregationalist Pastor with the American Home Missionary Society. Beginning with a group of just 12 individuals, which included Territorial Governor James Doty and Harrison Reed who owned most of what is now Neenah and Menasha, Clinton began to hold worship services in his home and it was out of this group that the Congregational Church was born in 1847, the Presbyterian Church in 1848, and the Methodist Church in 1848. For the first fifteen years the Methodist Church worshiped in the Yale Building on Wisconsin Avenue all the while saving money to build a church of their own. In 1864 this became a reality when with $700 and 54 members they bought the Congregationalist Church's building at the corner of Oak and Doty Streets. The next 20 years were years of growth which meant larger quarters were needed and in 1874 now with 175 members they moved again purchasing the Presbyterian Church's building in the 300 block of Wisconsin Avenue. As Neenah prospered so too did the church in 1903 land was purchased at the corner of Doty Avenue and Commercial Street for a new church. The new facility was completed three years later in 1906. The new church facility was a blessing to the growing congregation. The sanctuary could seat 350 people and their semi-circle shape allowed worship in the round. Completed for the cost of $25,000 it was truly a wonderful place to worship and from out of which to do ministry. In 1922 the Wesley Hall Gymnasium was added to complete the building described as one of the "finest structures of its kind in the valley." But in the early morning hours of Wednesday, November 17, 1937 disaster struck as a fire started and swept through the building in a matter of minutes. Within three hours, despite the best efforts of fire fighters from Neenah, Menasha and Appleton, it had burned to the ground. By noon of that day all that was left was smoldering pile of bricks. Losses from the fire totaled $75,000 with only part of the loss covered by insurance. The church leaders decided to rebuild as soon as possible on the same site but due to the lack of insurance proceeds to not include the gymnasium. The cost of rebuilding was $63,000 of which insurance paid $36,000. The new building was dedicated on February 19, 1939 and the mortgage on it was burned on April 15, 1943. Since that time two additions have been added. The first, the Sunday School addition, which included ten classroom on three levels was dedicated on January 31, 1965. The second was undertaken to make the church fully accessible to all and brought with it an elevator, a handicap accessible restroom, and our Commons which is used for many purposes but especially for fellowship times. This addition was dedicated on March 24, 1991. 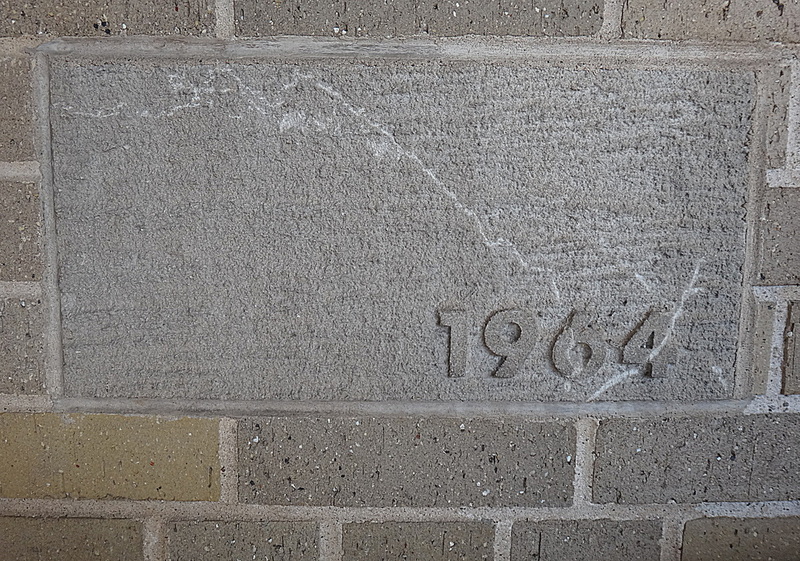 The three cornerstones representing the three building programs that gave First Church the facility that it has today. We thank all those who over the course of our 160+ year history have been part of making us who we are today!